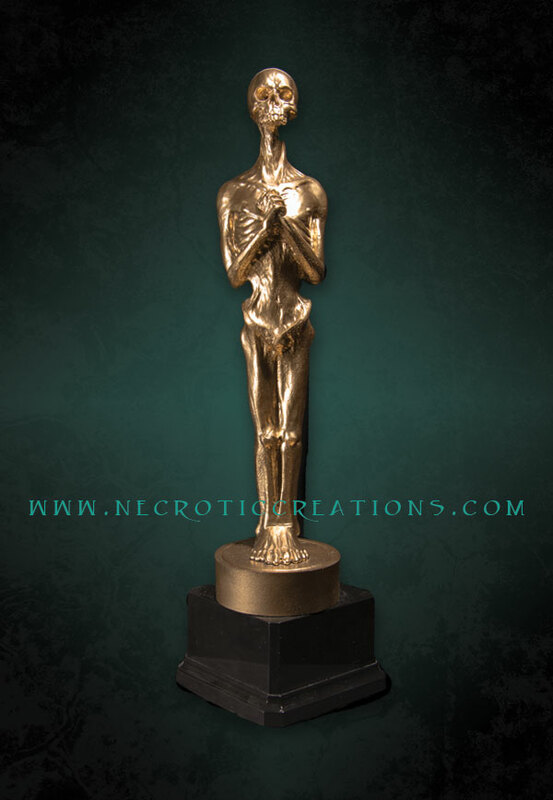 Thank a sponsor or donor, highlight a memorable performance, or show appreciation to your actors with our line of Haunt Awards. 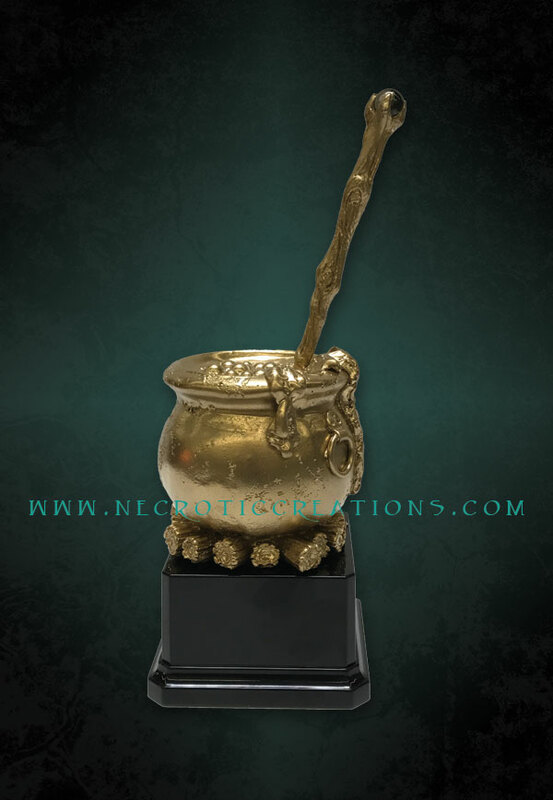 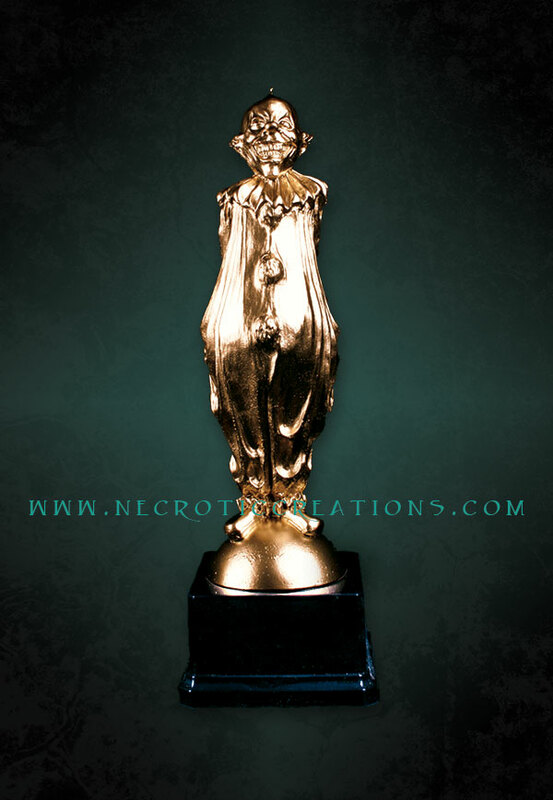 Each award is cast from molds of original in house sculpts using the finest materials available and lovingly hand finished in a brilliant bright gold, silver or bronze. Mounted on a weighted gloss black plastic base, these trophies have considerable heft and presence. 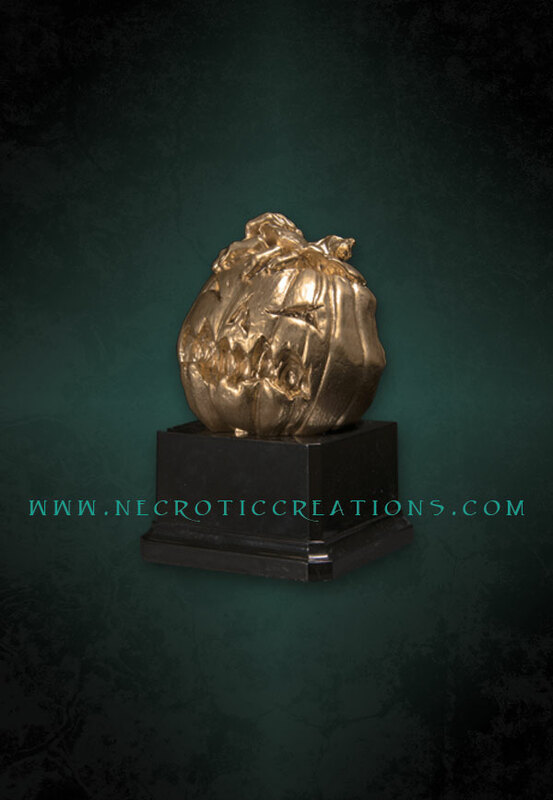 The bases can be easily personalized with engraved brass plaque of your choice (plaques not provided by Necrotic Creations). 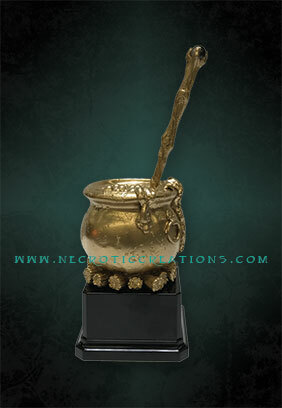 Highly detailed original sculpt. Influenced by the famous “Oscar” movie award… only deader. 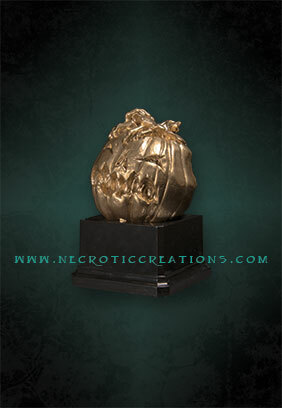 Highly detailed original sculpt featuring a carved Jack O’ Lantern with fingers clawing their way out. 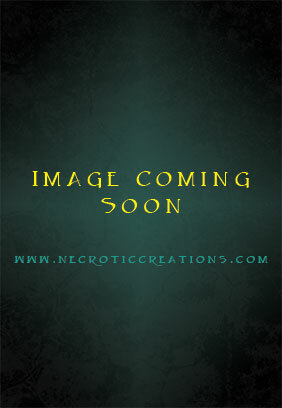 Highly detailed original sculpt of a Psychotic Clown, complete with hidden axe. 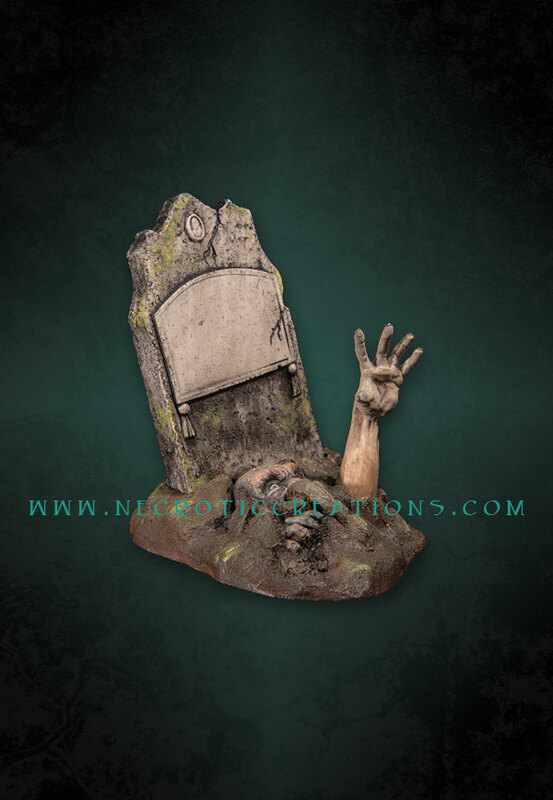 Another Creepy Haunt Award Coming Soon!